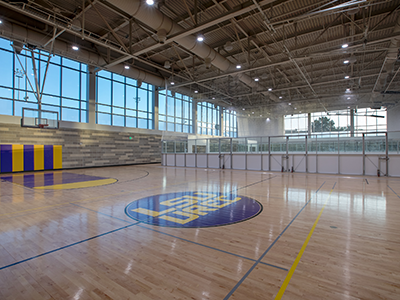 LSU University Recreation (UREC) provides a modern and energetic atmosphere conducive to the needs of our students and members. UREC is a 250,000 sq. foot innovative and comprehensive recreational facility featuring cardio equipment, strength equipment, fitness studios, high-level programming, and pools. For more detailed information about the UREC facility, please look at our Facility Map. UREC is located at the corner of South Campus Drive and Minnie Fisk Lane. UREC Field Complex at River Rd. The UREC Field Complex located at River Rd. opened in August 2014. The complex features four softball fields in a wagon-wheel configuration with covered dugouts, 8 multi-purpose fields, renovated locker rooms, and additional parking. The UREC Field Complex will be home to Sport Club’s practices and competitions in addition to numerous Intramural Sports throughout the year. Click here for information regarding rental of the UREC Field Complex for event and tournament. 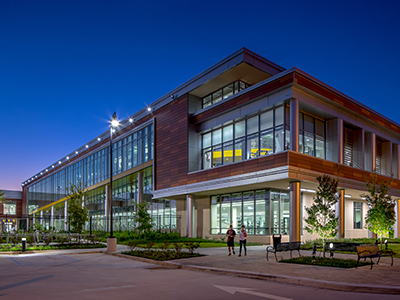 UREC @ Nicholson is a 8,000 sq. ft. satellite fitness facility located in Canal Hall as a part of Nicholson Gateway. There are over 50 pieces of cardio and strength training equipment, dumbbell weights up to 75lbs, and a Queenax functional training system. Members will be able to sign up for our free UREC @ Nicholson Group X Classes at the beginning of the Fall 2018 semester. 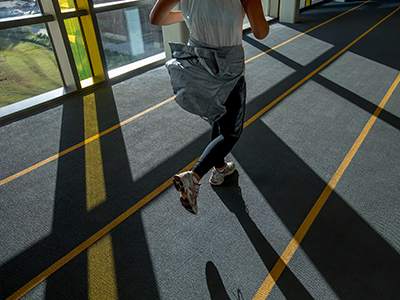 UREC @ Nicholson is outfitted with two gender neutral changing rooms, men’s and women’s locker rooms with showers, and over 70 day-use lockers. As a current UREC member, you are able to access this facility at no additional cost. Tiger Card is required since there are no iris scanners at this facility. For more information about UREC @ Nicholson, visit the UREC @ Nicholson page. All visitors should check at the UREC Operations Desk located at the Main Entrance of UREC. A UREC team supervisor will be happy to give you a tour of the facility and answer any questions you may have. Guests must be sponsored by a UREC member or eligible for a UREC membership to purchase a day pass. Day passes available for $10. All vehicles parked on campus must display a current LSU parking permit. Students and faculty/staff should park in the appropriate zones. Alumni and retired faculty/staff members must obtain a permit from the LSU Parking and Traffic Office or the Visitor’s Center. This permit only allows for parking in an X-Lot or 2-Hour Lot surrounding the Student Recreation Complex. You will need to present a valid driver’s license and UREC Membership Card. Need a ride to the Fields at River Rd. for an Intramural game or to the SRC for a nighttime workout? Just dial 225.578.5555 beginning at 5:30 p.m. nightly and Campus Transit will pick you up anywhere on campus! View more information on Campus Transit.